Dimensions: 6 ft. 4 in. x 4 ft. 8 in. 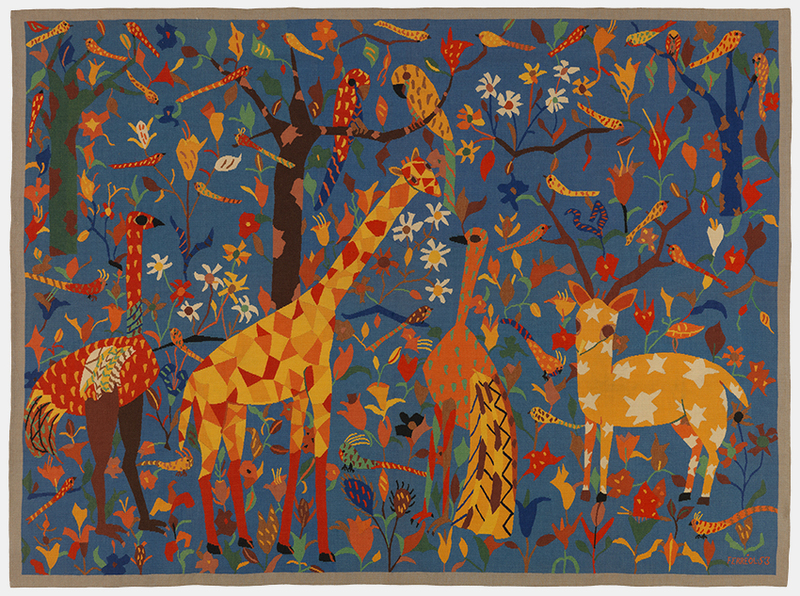 Best known for his oil paintings, the French artist Maurice Ferreol was among a number of artists intrigued by the translation of painting to tapestry during the 1940’s and 50’s. His style, pared down to basic geometrical shapes and soft colors, was well suited to the art of tapestry weaving. Ferreol followed the lead of originator Jean Lurcat as renewal of the artform took hold. 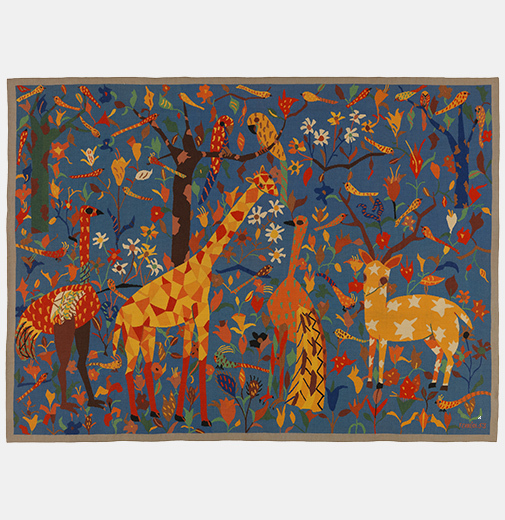 This tapestry, with both a playful subject and composition, is a superb example of those produced in Aubusson, France mid-century.